Thursday March 19th is St Joseph's Day and Haegele's will be making Zeppoles throughout the week. 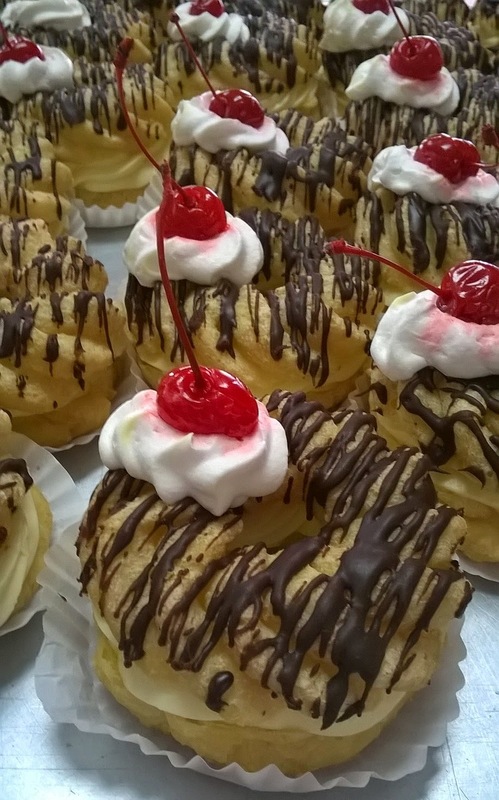 Zeppoles are called "St. Joseph's cakes" but they're really not a cake at all. They are a fried doughnut pastry. Some versions are plain with a powdered sugar and many others are filled with custards or whipped-cream. 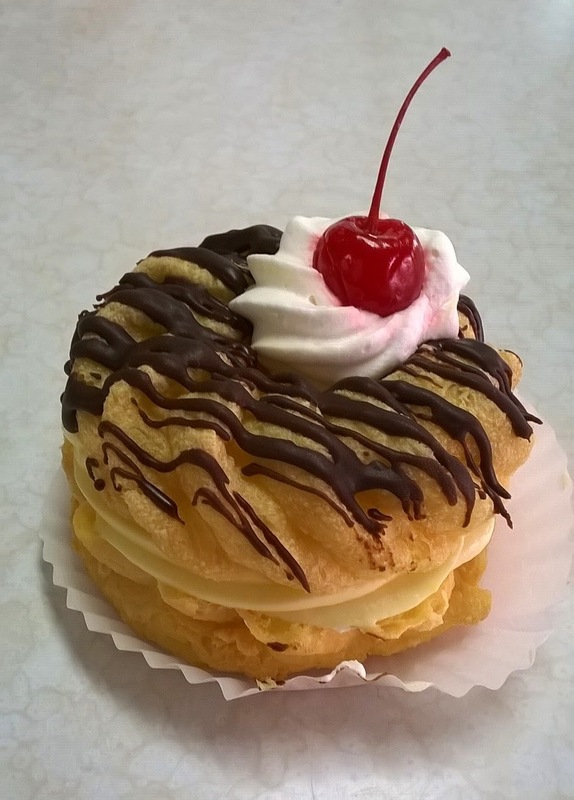 Our Zeppoles are french pastry cruellers split and filled with Bavarian cream, a combination of cooked vanilla custard and fresh whipped-cream blended together. Our Bavarian cream is a heavenly filling that is amazingly light to the palate. Once filled, the pastry "cake" is then stripe-iced with chocolate and topped with a dollop of whipped-cream and adorned with the signature marichino cherry. Zeppoles are in deed a deliciously delicate dessert but since they're technically not a cake, you don't have to wait til dessert to eat them.